Individuals who want to regain their lives should consider an alcohol rehab clinic. Many people in today's society live very challenging and stress filled lives. It can be difficult to find a way to cope with negative or stressful situations. Some people use alcohol or other substances as coping mechanisms during these difficult times. Alcohol can coincide with a very social environment, which may be appealing to a person at the end of a hard day. If the consumption of alcohol is disrupting a person's life, or becoming a problem in any way, he or she may consider checking into an alcohol rehab clinic. A person's family may also suggest checking into an alcohol rehab clinic if they notice a change in behavior, personality, or routine. However, this is not an easy decision to make. A person may ask themselves, "Why check into an alcohol rehab clinic?" If turning to alcohol has become a negative routine or a coping method, checking into an alcohol rehab clinic may be a helpful solution to consider. Family members or significant others can be great resources when making this decision. There are quite a few varieties of alcohol rehab facilities to choose from. A person should spend some time researching these options to select the most fitting program. One of the options available is Alcoholics Anonymous, which is a 12 step based program. A program that uses the 12 step approach teaches individuals that they have a disease, and they will have to be in treatment for the rest of their lives. This includes relying on the program, and attending support meetings. A second option available to people is the Freedom Model Program, which follows the freedom model. The freedom model is choice based. 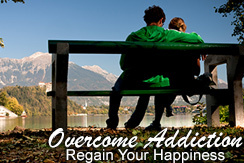 It teaches people that turning to alcohol or any other substance to begin with was a choice. Therefore, making the decision to not drink or use any other substance as a coping method is also a choice. When a person is choosing an alcohol rehab clinic, it would be helpful to make sure the program does not go against his or her values or common sense. This way the program selected should provide as much help as possible.